Independence of the Seas cruises go along well with Quality Inn & Suites Hotel short stays! Book the cruise and book us at the same time! We are ideal for cruisers. 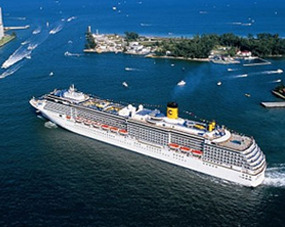 We are referred to as cruise port hotel of distinction! Stay with us and see why! Our extensive experience with serving the special needs of cruisers, makes us perfect for short stays before and after their cruises. Not only do we offer cruisers the most reasonable room rates through heavily discounted cruiser deals and generous cruiser packages, but we also provide reliable shuttle service. Our well-trained staff workers will go the extra mile to ensure your comfort and safety at all times while you are our guest. BOOK DIRECT now! The beauty and fun activities available in South Florida demand that you stay a few days before and/or after cruising and be part of the action! Enjoy the area while around for one of the Independence of the Seas cruises, with no hassle at all! 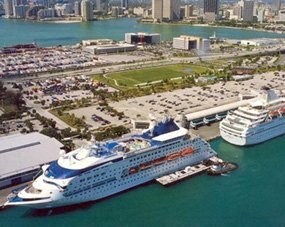 We are centrally located between Miami and Fort Lauderdale, making us the perfect cruise port hotel. 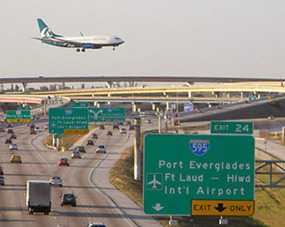 We are also near the Ft Lauderdale/Hollywood International Airport as well. Remember to always book directly for the best prices. Call us; take your first steps towards your unforgettable trip! BOOK DIRECT by telephoning our hotel or click on the "Book Now" link, and get your trip started immediately! 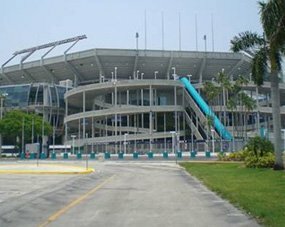 Our hotel is centrally located close to the Fort Lauderdale/Hollywood International Airport, Fort Lauderdale and Port Everglades Cruise Ports, Broward Convention Center, miles of beautiful beaches, Sun Life Stadium, Concert Arenas, University of Miami Hurricanes, plenty of shopping, restaurants, daily and nightly entertainment, and more. Quality Inn & Suites is easily accessed from the Florida Turnpike and Interstate 95.